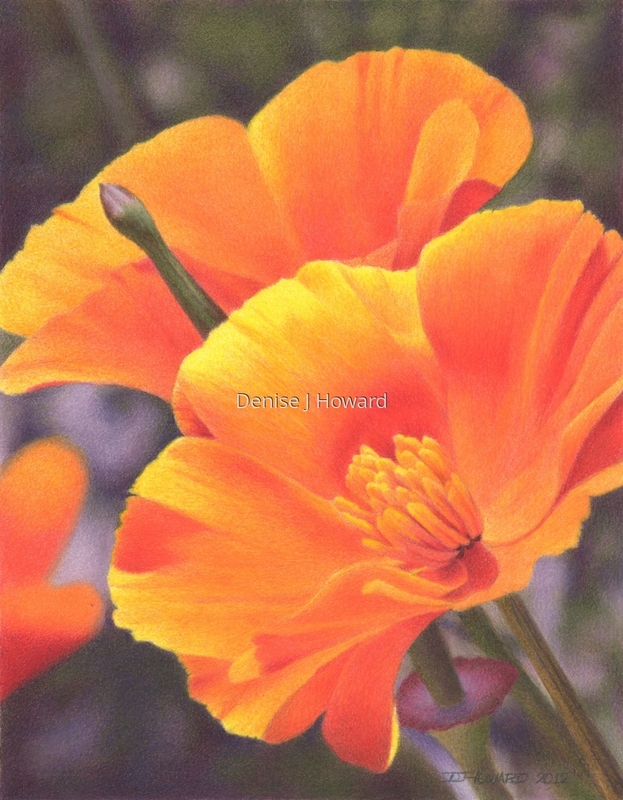 I love the brilliant orange-ness of California poppies, and the delicate ripples that sunlight highlights in their petals. Colored pencil on Stonehenge paper. 6.5" x 5"9" x 7"